Sometimes when I go off on (fill in the blank) injustice in front of my mom, she berates me for having views too radical and for expressing them in ways barely digestable to audiences that may need to hear them most. While I find my views not-radical-enough, I do agree that my scribblings and writings and posts are an unlikely cup of chai for all the die-hard sexists, racists, classists, imperialists’ and otherwise violent people out there. While this doesn’t bother me too much, I think the point she’s suggesting I grapple with is fair: what is the purpose of my work? Are people listening? For that matter, who are these people? I think I realized a long time ago that I don’t have the stamina to deal with the worst kinds of people, the ones who never change their harmful ways and refuse to listen. Probably a while after, I came to realize that the folks I love, including myself, still share a lot of symptoms with them. Us anti-war folk may forget food justice. Living wage organizers may not tackle gender-based violence. Prison abolitionists may not extend their call to abolishing militaries as well. But these crises share the same destructive and exploitative root causes, as organizer and educator Cecilia Pineda shows in their #FloodTheSystem infographic. Here’s the educational tool us young activists need most. A simple infographic that has my brain exploding, lining up dozens of connections between objects of two huge social justice movements: the prison system and climate change. Did you know that half of California’s wildfire firefighters are incarcerated (over 4,400 in total)? Non-incarcerated firefighters make $22-34/hr. Did you know how much incarcerated firefighters make? Around 2 bucks an hour instead. Did you know that California had 1,000 more wildfires last year than its 5-year average? 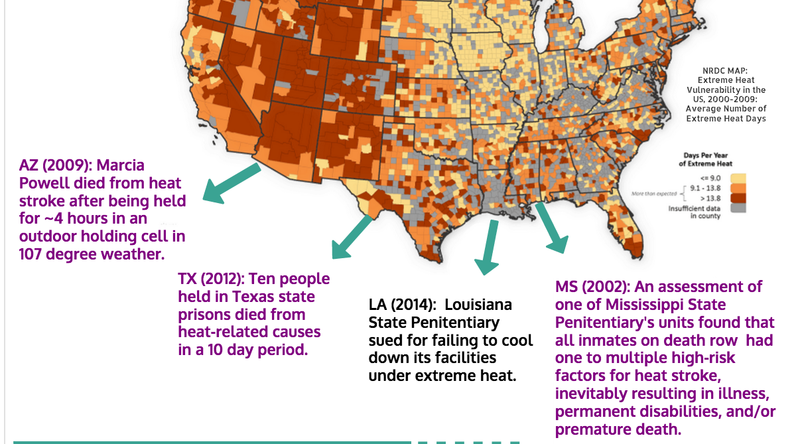 I didn’t know that 10 people held in Texas state prisons died from heat-related causes in a 10 day period. 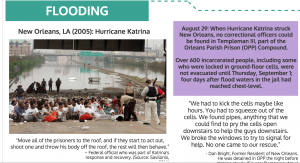 That when Hurricane Katrina hit New Orleans, no correctional officers could be found in Templeman Ill, part of the Orleans Parish Prison Compound. 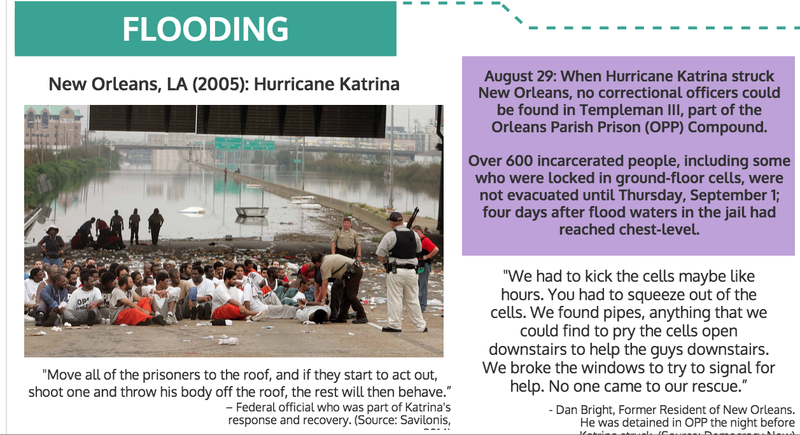 I didn’t know that 600 incarcerated people were not evacuated until four days after flood waters in the jail had reached chest-level. 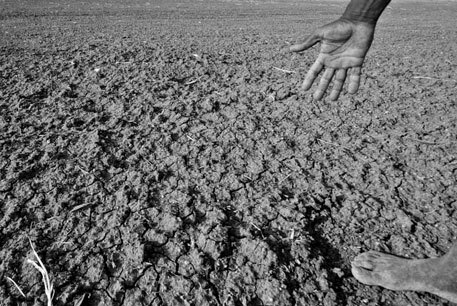 The prison system and the climate crisis share the same destructive and exploitative root causes, disparately placing their capitalistic burdens on black and indigenous communities and the earth for white profit. As an organizer, I see it as my responsibility to understand how these crises are interrelated. I do not believe in false solutions, such as the greening of prisons or preparing them to face climate impacts, but rather will fight for their abolition. I’m so appreciative of Pineda’s infographic because it helps me clarify an important question: What role do I want to pour myself into as an activist? I think it’s one that may not always speak in a manner digestible to the one percent producing crises, but is always drawing linkages between those of us fighting oppression in different ways. Building together and building up is a really powerful thing. And Pineda is one more person showing us how to do it. Pineda’s work is relevant to every organizer in every movement. Check out the rest of the infographic here. Read more about their organization RADIKO here. And join or donate here to #FloodTheSystem — a national call for a massive economic and political intervention this fall built along the intersections of race, class, gender and ability.